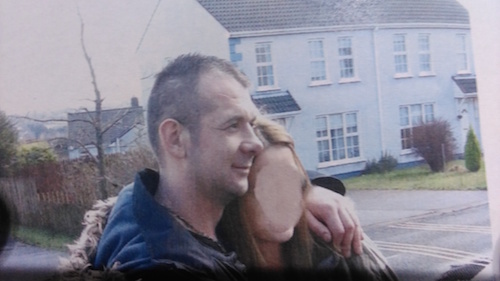 FRIENDS of a Polish man who died in Letterkenny a year ago have rejected Garda claims he was murdered. Thursday marked the first anniversary of the death of Sebastian Adamowicz whose body was discovered at the foot of a staircase in his home at Sylvan Park. He was rushed to Letterkenny hospital but died later as a result of his injuries. 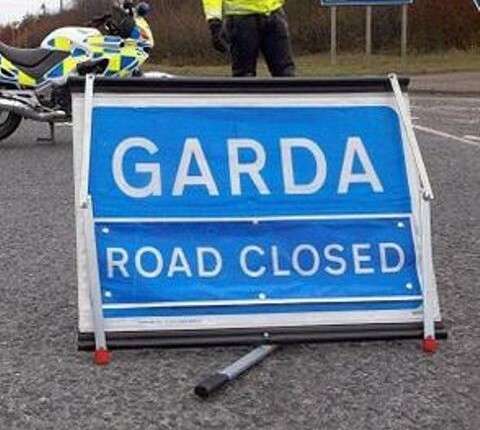 Initially gardai said they were keeping an open mind about the 36-year-old’s passing and said they were treating it as a sudden death. Following an examination by State Pathologist Marie Cassidy however, the investigation was upgraded to murder. It is understood Ms Cassidy found marks on the body which were not compatible with an accident. A year on and Detective Inspector Pat O’Donnell, the officer investigating the case, has renewed his appeal for information into Mr Adamowicz’s death. 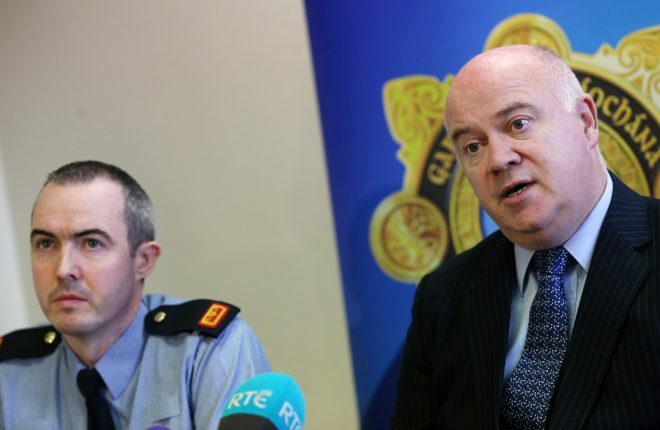 Inspector Pat O’Donnell and Inspector Sean Grant appeal for information. 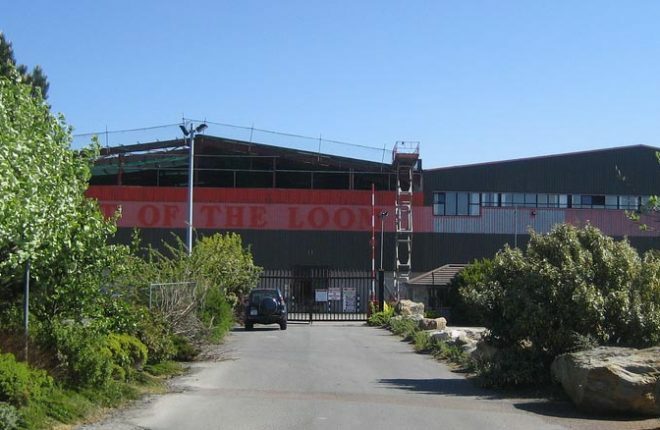 But one of the men who was in the house with the victim has broken his silence to say the 36-year-old died as a result of an accidental fall rather than foul play. 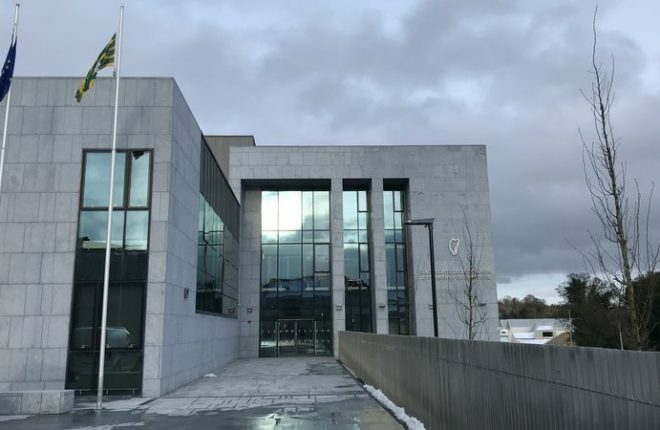 Bogdan Maciejewski told the Donegal News his friend lost his life after falling from the top of the stairs to the bottom following a heavy drinking binge. Mr Maciejewski said, “There was only myself, Sebastian and a neighbour. I was in the kitchen so I didn’t see but I heard. 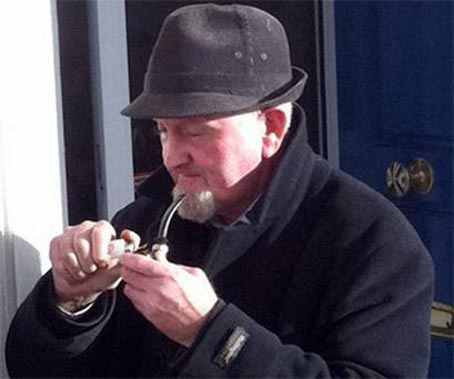 From the village of Pogorzela in Poland, Sebastian Adamowicz had been living in Ireland for four years at the time of his death. “He was a good friend and a good guy,” Bogdan Maciejewski said. Asked why he believed gardai were treating the tragedy as a murder, Mr Maciejewski said he did not know. 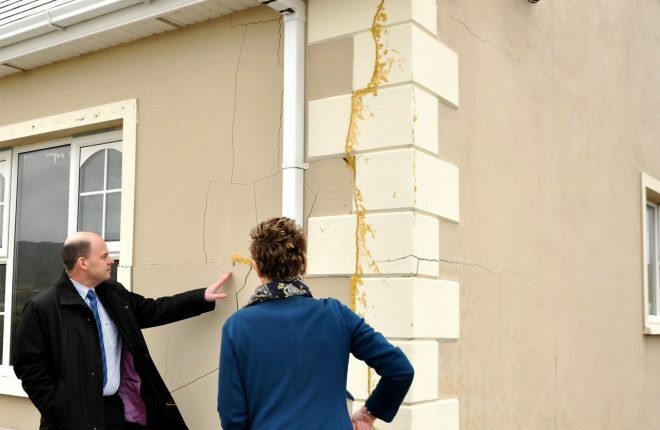 As he prepared to launch a renewed appeal for information however, Detective Inspector O’Donnell said the matter was still being treated as a murder. 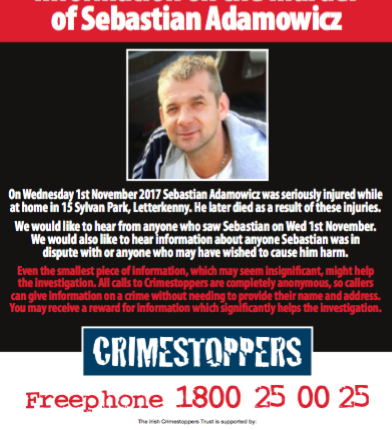 The poster that was circulated in the wake of Mr Adamowicz’s death. 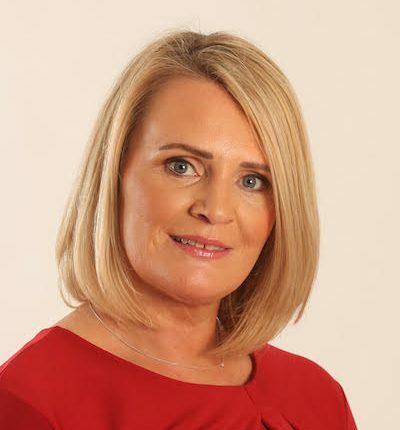 “This is still a murder investigation and I would appeal to anyone with anything to offer in terms of the investigation to come forward, particularly anyone in the Gortlee area where the deceased lived,” Detective Inspector O’Donnell sad. Mr Adamowicz’s death coincides with All Saints Day, a national holiday in Poland. Another friend of the deceased, Mirostav Janyga, said they would spend the day thinking of Sebastian. “It is a sad day for us. He was a good friend. He always wanted to help and nothing was ever a problem for him,” Mr Janyga said. 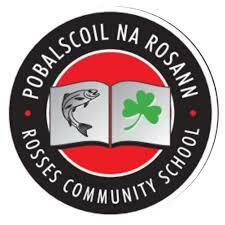 Mr Adamowicz will be prayed for at a Polish Mass being said in St Eunan’s Cathedral today (Sunday).